The boys are back in town…Zoltán Papp and Zsolt Dékány return home after an exhilarating five-day, 2500 km journey through some of the most beautiful European countryside. 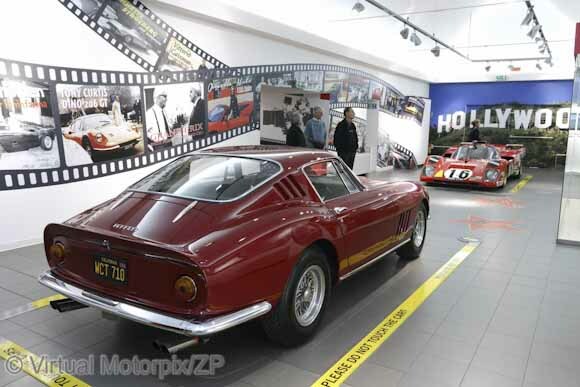 But this was no jolly, on the agenda were six museums including four automotive: Lamborghini, Casa Enzo Ferrari, Panini and Ferrari museums, as well as two motorcycle museums – The Italian Connection. The Museo Ducati was a huge surprise, but the Museo Vespa was a massive disappointment. Zoltan picks up the journey…let’s go in a chronological order. 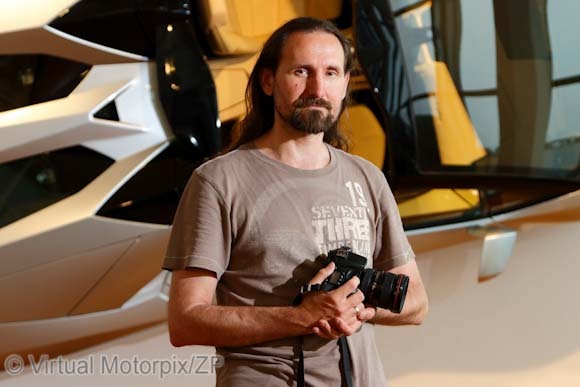 With my best friend and fellow photographer Zsolt Dékány, we came up with the idea a while back to visit the best automotive museums in Italy. The time arrived, and after some very successful (and some not so successful) negotiations, we left Hungary on 27 April. And we thought that while we were at it, why not make something more of our journey, and so we took in the Croatian Plitvice Lakes for a day. This is one of the most wonderful, unique sights of Europe. However, we were accompanied by rain on our journey to Bologna which stayed with us for the whole week. Bologna must be the worst city if we are to talk about the traffic. Everyone was driving crazily or like a blind person, or it seems sometimes, like both together. 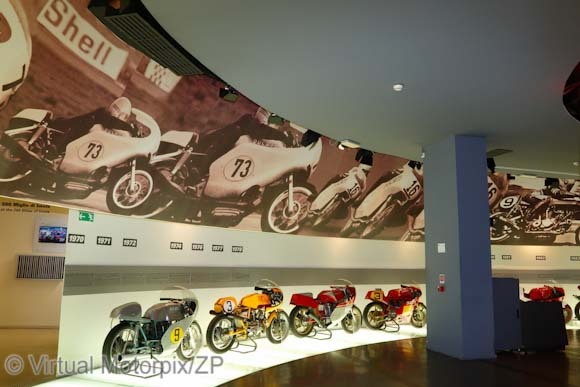 But all this was quickly forgotten when we visited the Ducati museum, this was a real joy to see as the collection is amazing and the lighting inside is spectacular. That afternoon we called into the Museo Lamborghini in San’t Agata Bolognese where the staff were extremely friendly; the chief press officer said she knew my name – WOW! 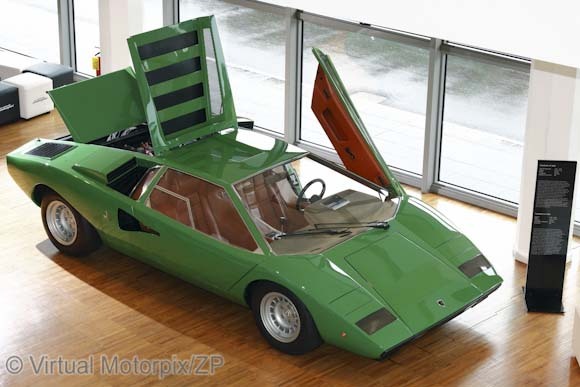 The line-up of vehicles was well worth the visit, but for me the green Countach – the first one built – was the highlight of the collection. My colleague, Zsolt, is the first person I’ve met who doesn’t like the shape of the Miura – interesting, but perhaps not surprising as the car’s brass colour is the least inspiring I have ever seen. On the second morning we tried to make it to the Panini museum in time. We had allowed two and a half hours for a 30 mile trip but failed to make it by 15 minutes….the traffic, again! Giovanni Panini was, however, very patient and kind to us. His Maserati collection is wonderful and we were so lucky, as all cars were in place along with two rare models on loan – one of them being the first ever Maserati built for road use. The 8CM is my favourite because a similar one raced in Hungary for many years back in the thirties; but the A6GCS, which carries the most thrilling Pininfarina body, is also on top of my list. The next stop was the Museo Casa Enzo Ferrari, Enzo’s home and workshop which has been turned into a museum with a brand new building alongside the old one. 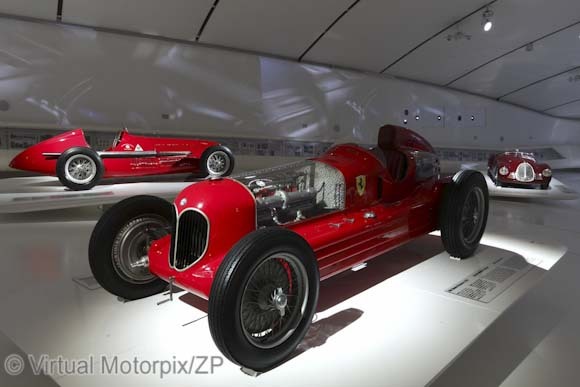 Enzo’s personal memorabilia and photos are on display in the old building, as well as one of the best vehicle exhibitions in the new building. Some fantastic rarities were on display, one of which was the most stunning Alfa Romeo Bimotore, had remained out of sight in the long-since closed Alfa Romeo museum. The exhibition only had around twenty cars on display, but this wonderful collection included vehicles from the beginning of Ferrari up to the 2002 Enzo. 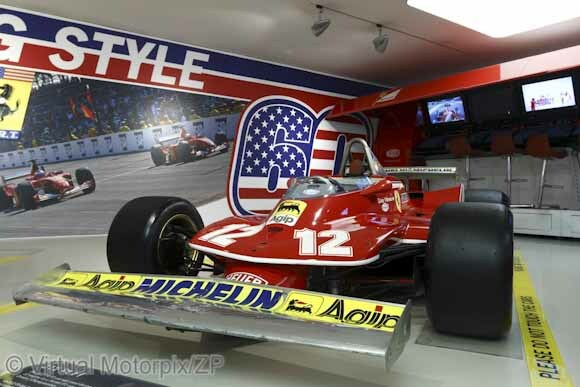 We started the next day in the ‘regular’ Ferrari museum in Maranello which wasn’t bad but a special exhibition about the brand’s North American activities was of interest. Racing cars as well as some from the ‘high society’ cars set in that golf and country club scene created the right atmosphere – that’s why we are smiling on the green beside the 212 Export S ‘Burano’. My star of the show was not one single car, but two: both related to Steve McQueen. One is the 512M from the famous movie ‘Le Mans’, and also Steve’s private 275 GTB4 which has been rebuilt to its original condition. Then we made a 110-mile run to Pisa to see the Leaning Tower and to take images of Zsolt or myself trying to push it over. The weather was glorious, and the whole afternoon was fantastic. The next morning we made the short trip to Tuscany, arriving at the Vespa museum in Pontedera. Then came the surprise: they would not accept our international press card and the copies of our work, and we were denied the opportunity of photographing inside. We were understandably upset, so we left Pontedera for Florence, taking in some good, late afternoon shots in the town before leaving Italy. Italy draws the attention of car lovers – with my friends Jan Mol and Dik Boosman we are making a similar museum trip from 23 until 28 June, visiting Peugeot (France), Nicolis, Panini, Righini, Ferrari, Museo Giovanni Agnelli, Centro Storico Fiat and Autosammlung Steim (Germany). Excellent account by the Hungarian journalists. A quality level to match! Thanks, Pim! Yes, that was an exciting trip and will hopefully inspire others, like you, to do the same. Would love to hear from you afterwards!